Concierge, Daily Housekeeping, pre-arrival grocery shopping and access to the Vitality Center at the Vail Mountain Lodge and Spa! Group B. Winter week this year Jan 12-19, Feb 16-23. 2 winter, 2 summer, 1 optional. 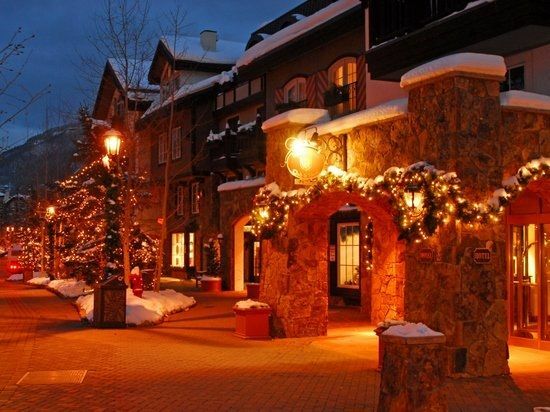 Located in the heart of Vail Village, the Austria Haus Club is an exclusive, member-owned club adjacent to the Covered Bridge and a minute walk to the Vista Bahn ski lift. Amenities include a reception lobby, members' lounge, ski locker room, fully-equipped health club, heated outdoor swimming pool and hot tub, heated and secure underground parking. This private residence has incredible views of Vail Mountain while the outdoor pool and hot tub overlook Gore Creek. Enjoy easy access to numerous boutique shops, gourmet restaurants, world class events and over 5,000 acres of the best skiable terrain North America has to offer. This is a full-service hotel-style property, with daily breakfast included. Platinum-rated. Great Room: Flat screen TV, gas fireplace, dining area, balcony with mountain view dining and seating. Master Suite: King bed, flat screen TV, private mountain view balcony, private master bath with heated marble floors, Jacuzzi tub and separate shower. Second Bedroom: Two double beds, flat screen TV, full bath with heated marble floors. Third Bedroom: Two twin beds, flat screen TV, full bath with heated marble floors. Guest Area: Lounge and full service bar, library, computers, concierge. Guests have free access to the Vail Athletic Club featuring top fitness equipment, climbing wall, yoga/pilates classes, steam, sauna, and whirlpool. (4) Flat screen TVs in every bedroom. Great Location. The unit was better than the pictures. The breakfast and cocktails everyday were an added benefit. We will definitely be back next year! Relax in the Club Lounge and Bar after a long day of skiing or golf, or lounge poolside and watch the rafters on Gore Creek. this is a saturday to saturday building. Depending on availability, dates outside of this are possible but not usually. Prices are subject to change. If the nightly rate is not calculated correctly for whatever reason, the booking will be cancelled or changed with the correct information.